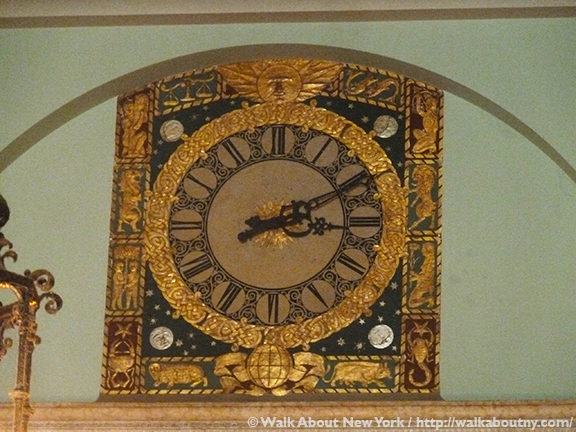 This ornate clock is in the lobby of 26 Broadway, former the Standard Oil Co. Building. 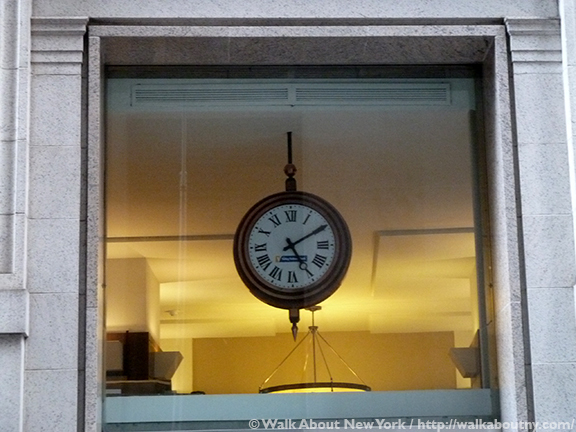 Walk About New York loves public clocks. 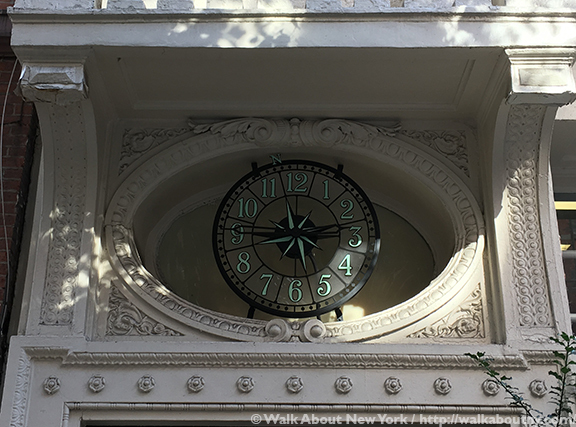 This is our second article about the ones found in the Big Apple, either inside a building, or outside as part of a building, or as free-standing so-called lamppost clocks. First introduced in the 1860s, public clocks became popular with businesses looking for new ways to promote themselves, and with New Yorkers, who appreciated the convenience of knowing the hour of the day just by looking around them on the street. Public clocks are so important that there is a New York-based organization dedicated to saving them from the wrecking ball or disrepair. The group, Save America’s Clocks (SAC), as of 2001 has preserved 30 cast iron lamppost clocks, several larger building clocks and a sidewalk clock. SAC was also involved in the preservation of several clocks in Boston and other cities, maintaining a state-by-state directory of repaired public clocks. Preservationist Tom Bernardin founded SAC, a tax-exempt organization. It appeals to cities and states for landmarks status for clocks. The organization has been chosen as part of Save America’s Treasures, part of the White House Millennium Council, which is administered by the National Trust for Historic Preservation. 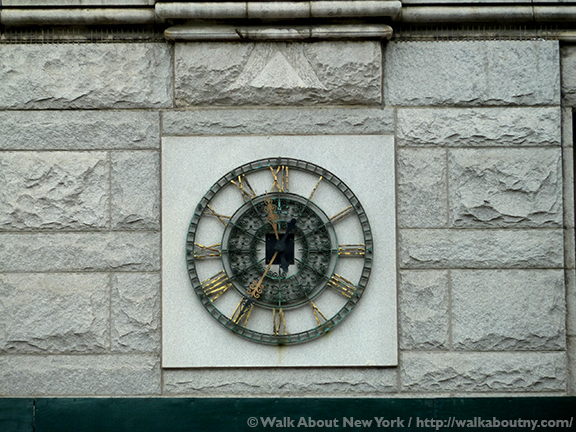 A much less ornate clock at the former headquarters of Standard Oil in Lower Manhattan. Four New York Plaza was heavily damaged by Super Storm Sandy; but its clock is still ticking. 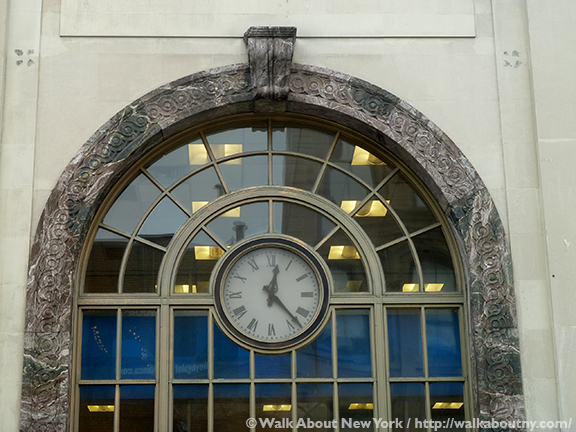 The 1905 subway station control house is on our Downtown Manhattan Walking Tour. 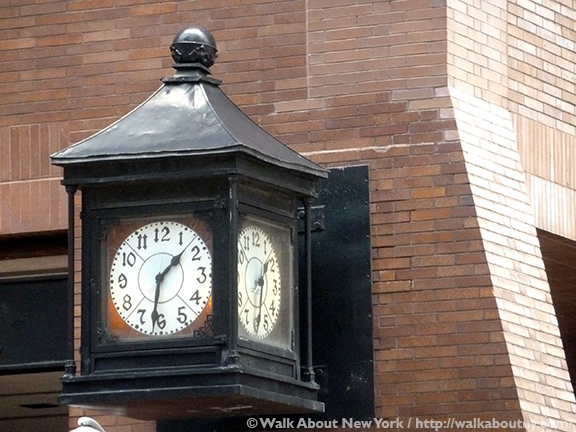 Dating from 1910, 26 East 13th Street has a clock in one of its two bull’s eyes. One Park Row’s modern lines is out of keeping with its taller 1899 neighbor, 15 Park Row. The 1915 Equitable Life Building, 120 Broadway, was once the world’s largest office tower. 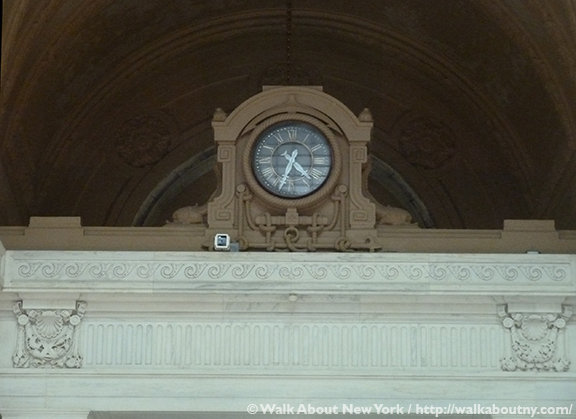 The ornate clock at 28 Broadway is not easy to read. 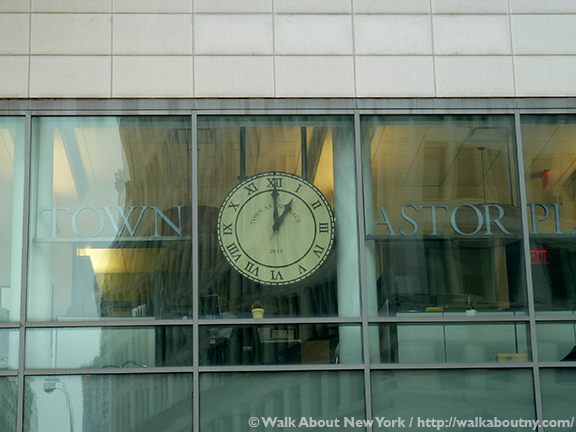 The clock at the Astor Place Tower faces Astor Place. 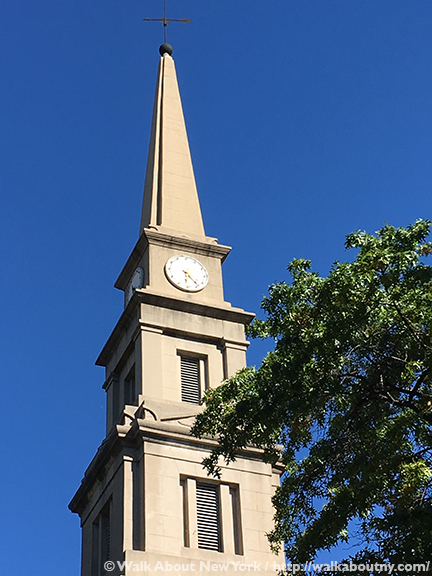 St. Mark’s Church in-the-Bowery dates from 1799; but its steeple clock dates from 1979. 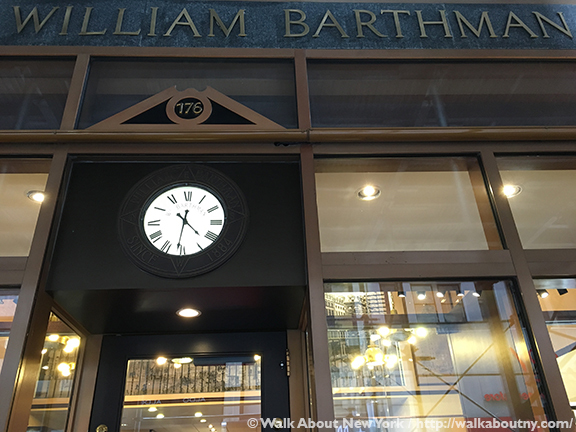 This more conventional clock belongs to the jeweler, William Barthman at 176 Broadway. 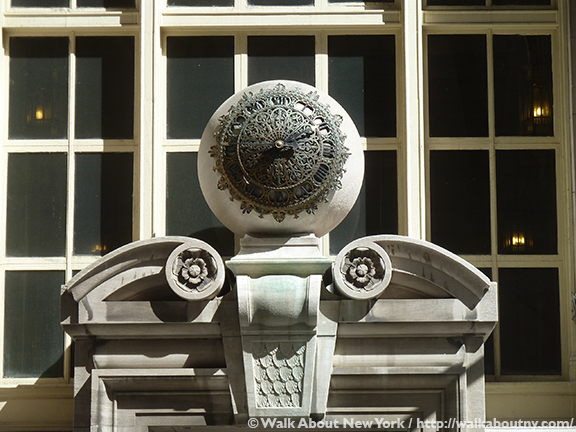 See this sidewalk-embedded clock on our Downtown Manhattan Tour. 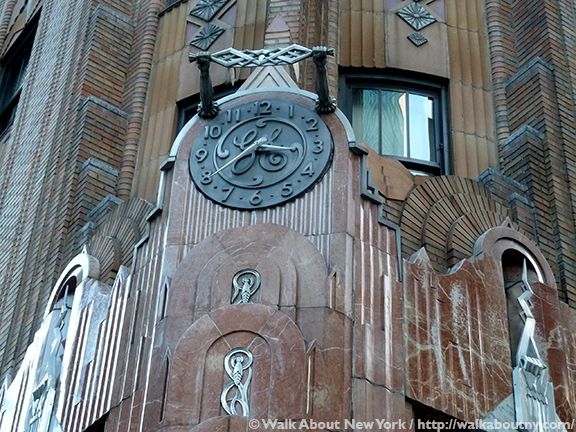 The 1931 General Electric Building, at 570 Lexington Avenue, is an Art Deco delight. The New York Times built 41 Park Row between 1888 and 1889, and remained there until 1903. Built in 1927 as a bank, 407 Broadway still is a bank. 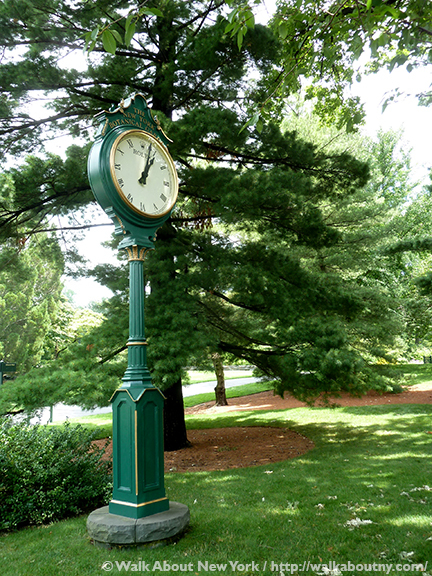 The Great Garden Clock at the New York Botanical Garden in the Bronx is by Rolex. The 1907 Alexander Hamilton Custom House is a highlight of our Downtown Manhattan Tour. 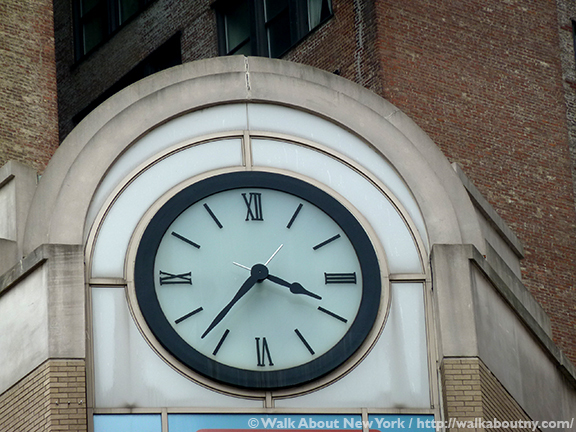 Read our first article, “It’s About Time,” with its 18 photos of public clocks in the Big Apple. Public clocks figure into several of our walking tours. 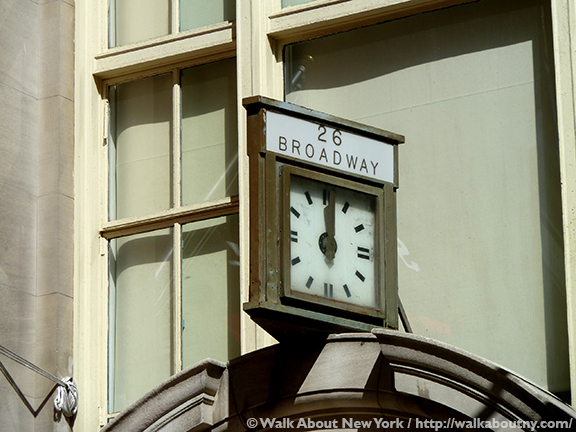 The Five Squares and a Circle Tour and the Downtown Manhattan Walking Tour feature well-known timepieces. Take the Tour; Know More. 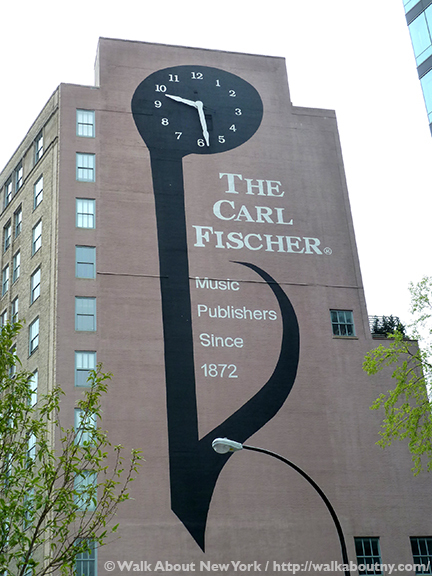 Since 1923 there has been a clock on the side of 62 Cooper Square.